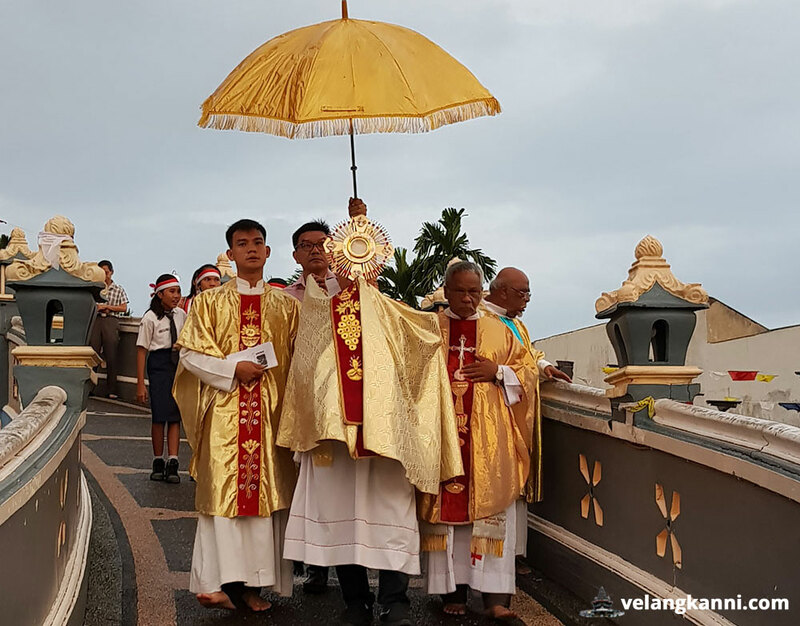 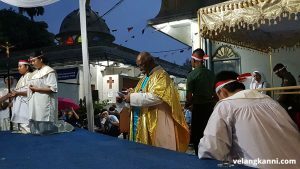 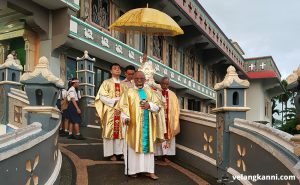 The Eucharistic celebration during the Corpus Christi Procession 2017 took place on Thursday, 17 August 2017, after the 5pm mass to commemorate the declaration of Independence Moments. The procession begun with the priest placing the sacred host in the Monstrance. 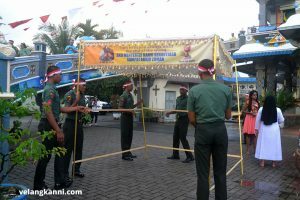 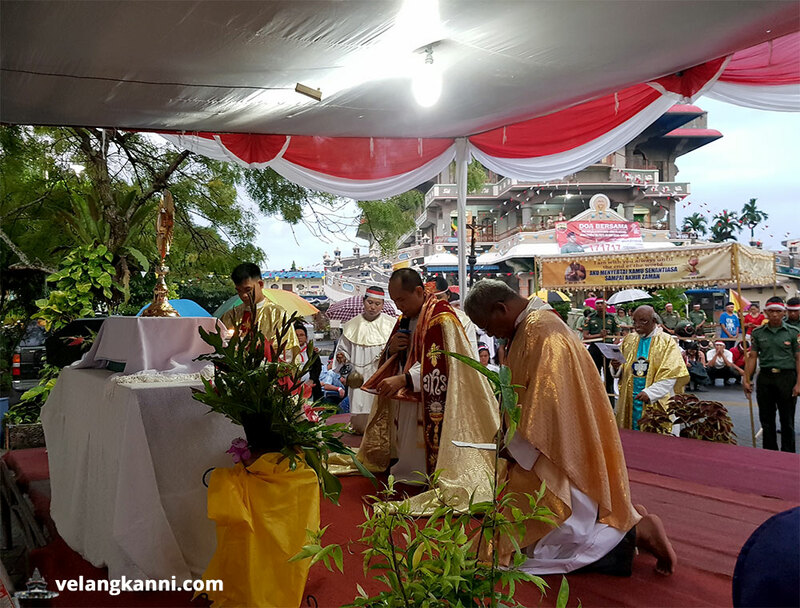 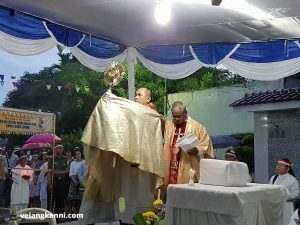 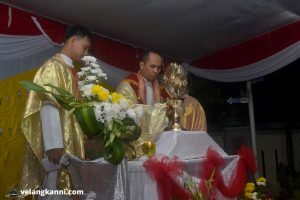 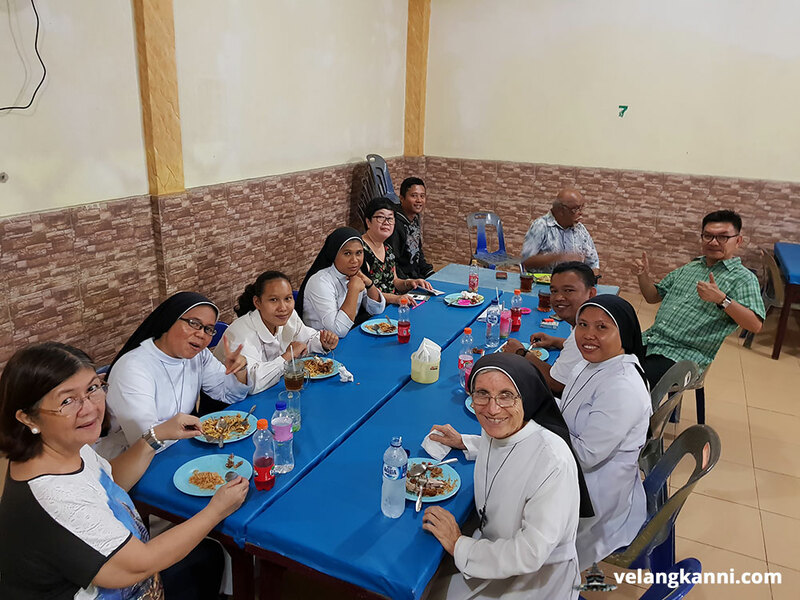 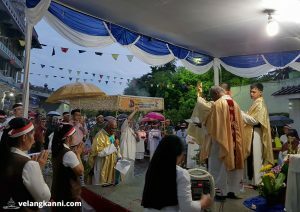 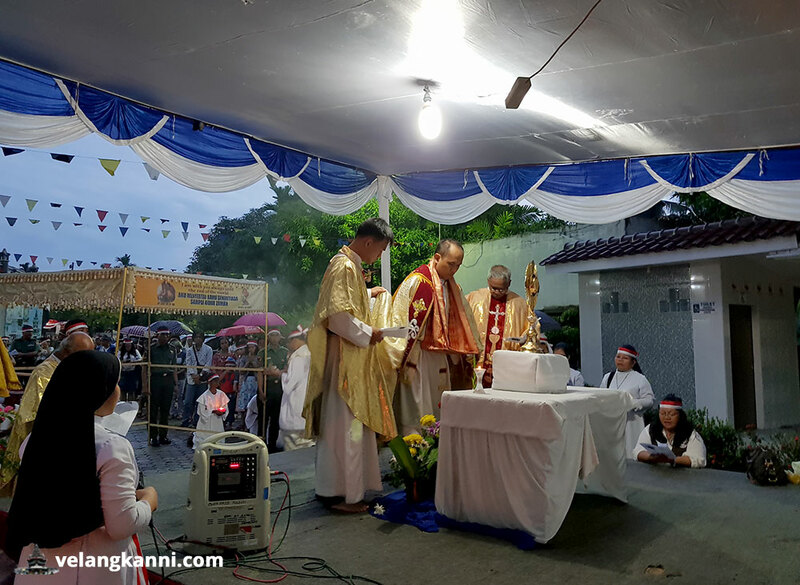 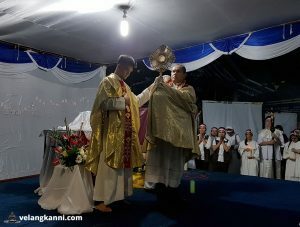 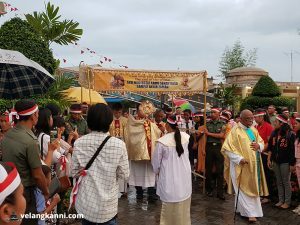 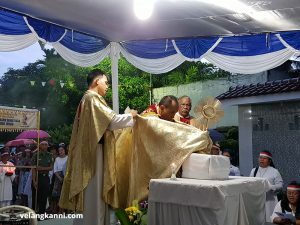 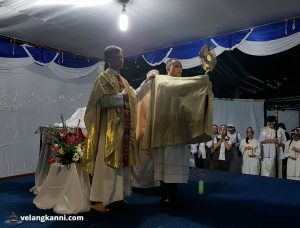 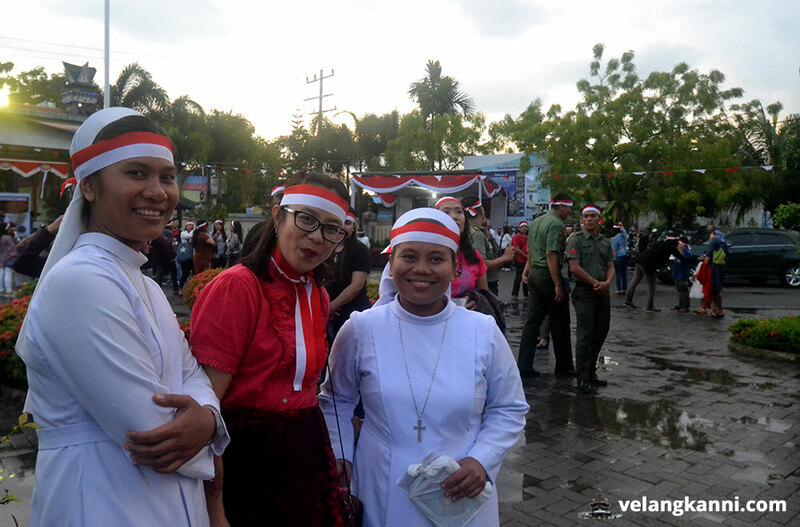 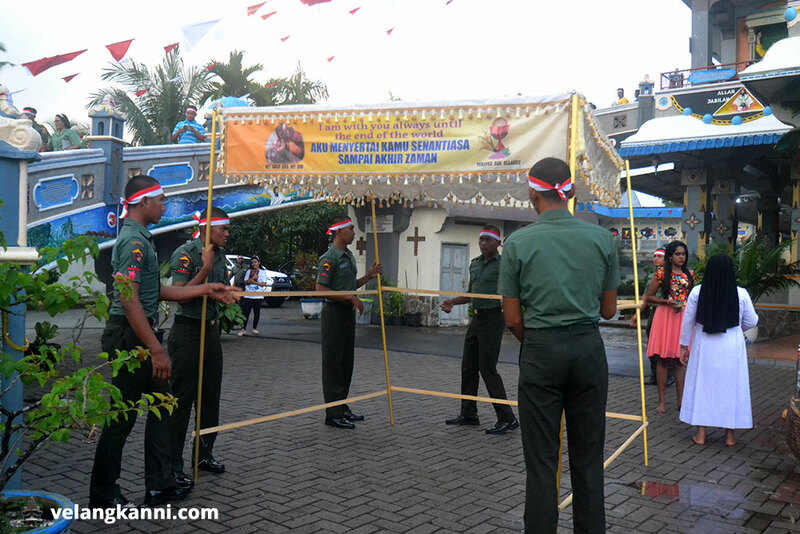 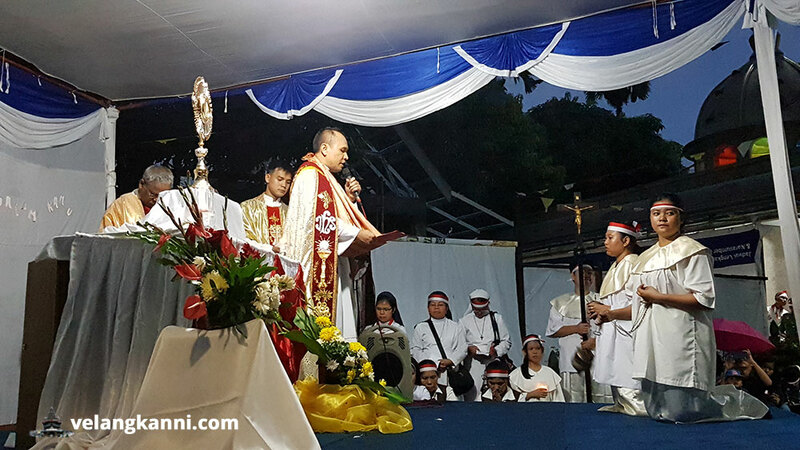 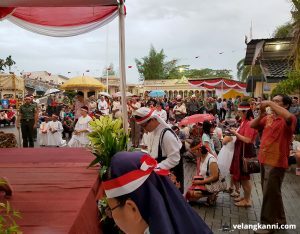 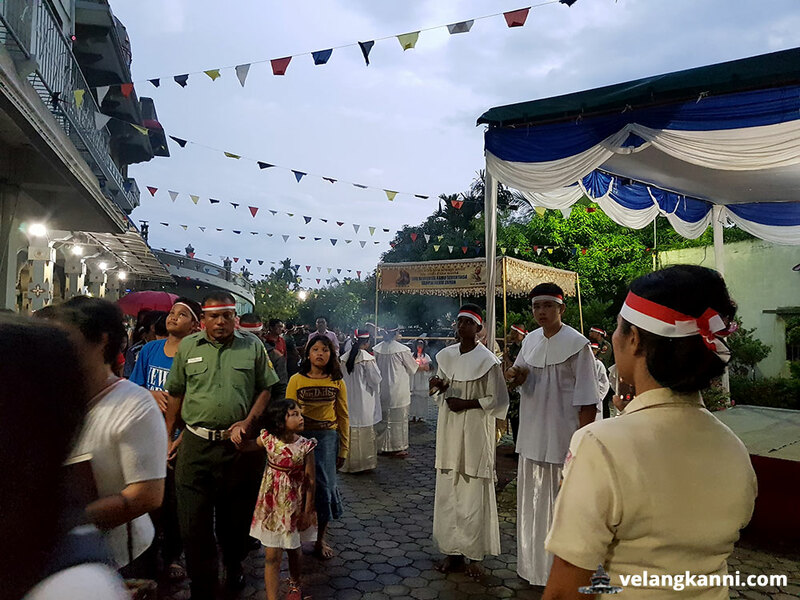 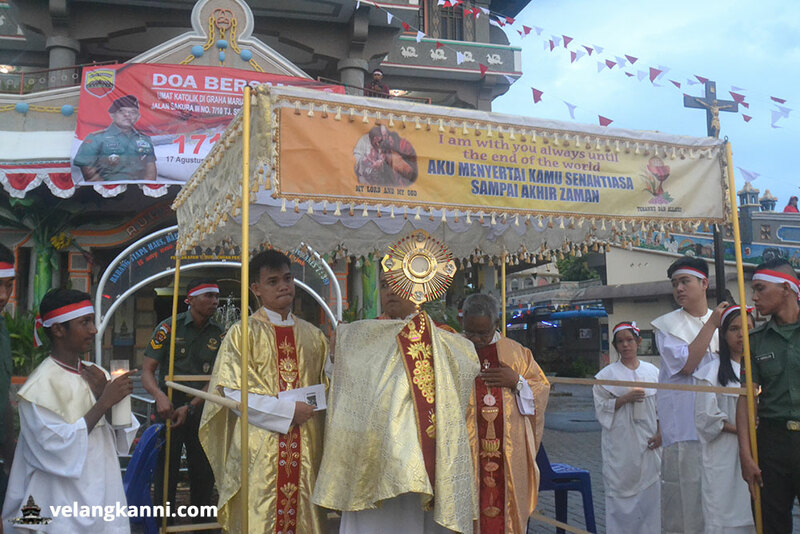 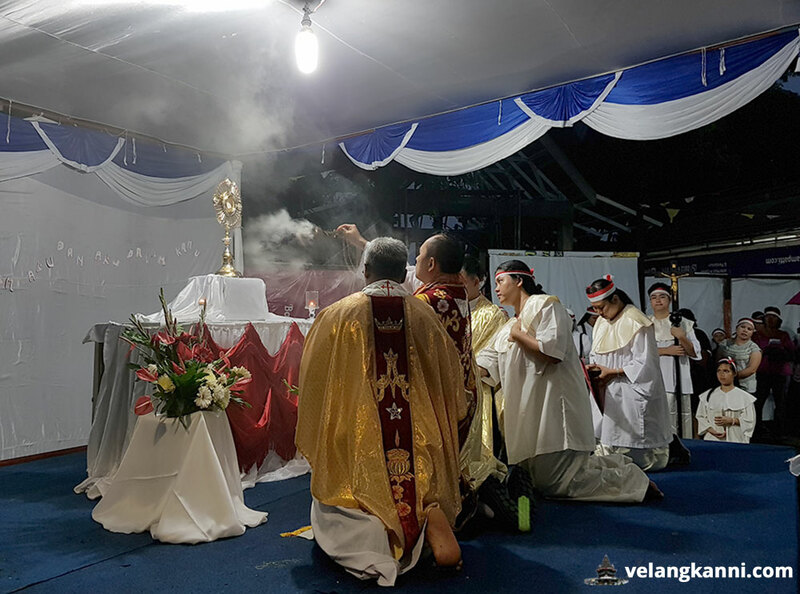 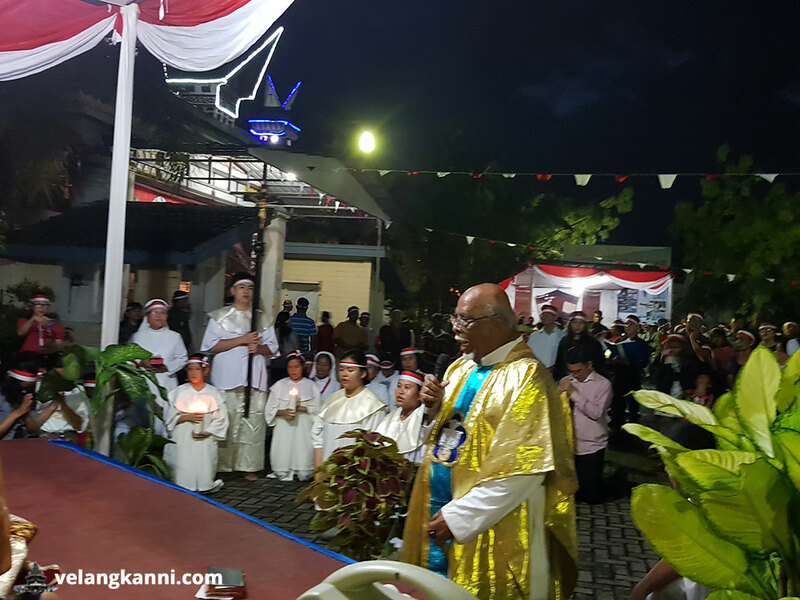 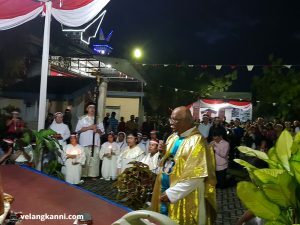 Father Aditya Perangin Angin, O’Carm acted as the bearer of the Blessed Sacrament to the four booth stands. 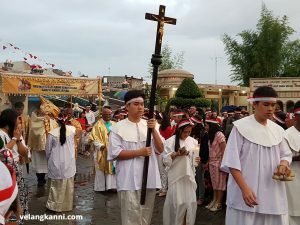 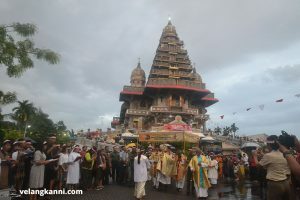 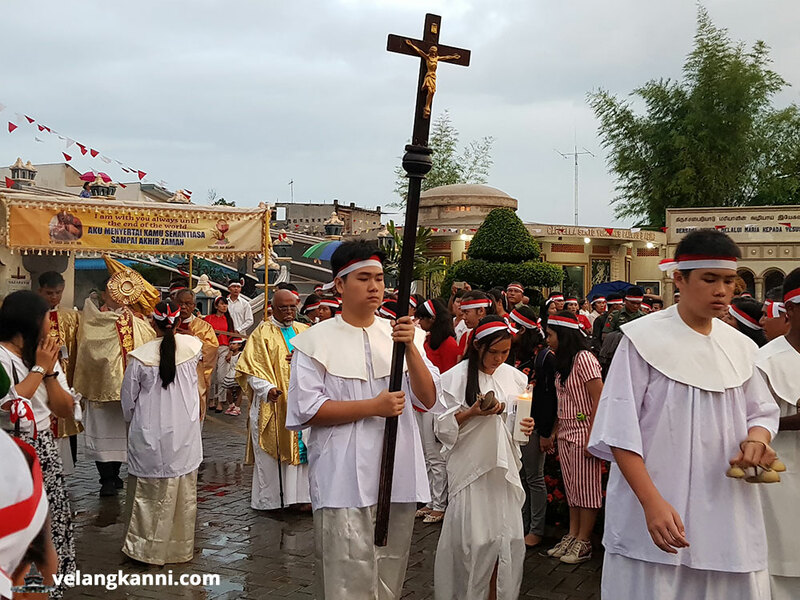 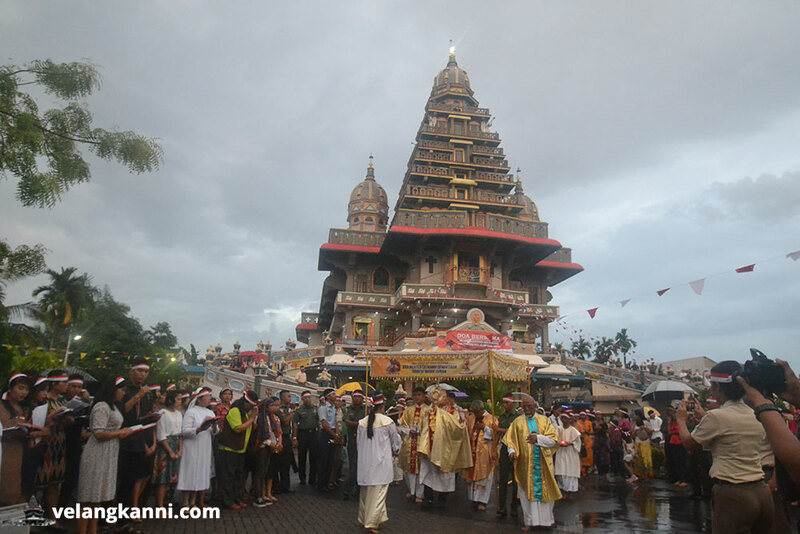 During the procession the faithful accompanied him with prayers and songs. 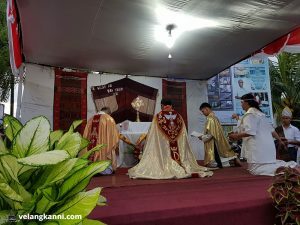 After the procession from each of the booths were completed, the sacred host was returned to the tabernacle in the church.